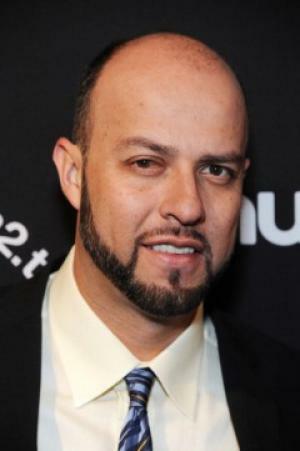 Esteban Antonio Loaiza was born on 31st December 1971, in Tijuana, Mexico, and is known for being a former professional baseball player, in the position of pitcher in the Major League Baseball (MLB) teams including the Pittsburgh Pirates, Texas Rangers, New York Yankees, Los Angeles Dodgers, etc. He was also the starting pitcher in the American League’s 70th anniversary 2003 All-Star Game in Chicago. His playing career was active from 1995 to 2008. So, have you ever wondered how rich Esteban Loaiza is, as of late 2016? According to authoritative sources, it has been estimated that the total size of Esteban’s net worth is over $20 million, an amount predominantly acquired through his career in the sports industry as a professional baseball player. Another source is coming from his appearances in the reality TV series “I Love Jenni”. Esteban Loaiza grew up in Imperial Beach, California, USA, where he attended Mar Vista High School, where he became interested in baseball, so soon after matriculation, in 1991 he was signed by by the Pittsburgh Pirates as an undrafted free agent. Later that year he started playing in Rookie leagues, and made stops at several teams such as the Gulf Coast Pirates, Augusta (class A – 1992), Salem (class A – 1993) and Carolina (class AA – 1993-1994). In season 1993 he played with the Mexico City Red Devils, and in the following year, he played in Mexico in the Liga Mexicana Del Pacifico for the Mexicali Aguilas team. Esteban’s professional playing career really started in 1995, when he debuted in the MLB playing for the Pirates against the Philadelphia Phillies. The 1996 season he started in the minor league again, but was called to join the major league later in the same year. In 1998 he was traded to the Texas Rangers, and spent next two seasons there. The 2003 and 2004 seasons, Esteban spent with the Chicago White Sox; in 2003, he lead American League pitchers in strikeouts and was second in wins. Later that year he was considered for the Cy Young Award for the best pitcher in the MLB and finished second, and had 21 wins which is the record for one season for a Mexican player. He was an All-Star selection both in 2003 and 2004, but it can be said that the season 2003 was the peak of his career, and added a considerable amount to his net worth. In the following years Esteban changed teams several more times, but one of the most important was his three-year $21.4 million contract with the Oakland Athletics signed in 2006, which increased his net worth by a large margin. However, due to injuries he started his career there disastrously, but in 2007 he partially recovered, so he came to the Los Angeles Dodgers and started that season successfully. In the next season he was signed by the Chicago White Sox, but after three relief appearances and six weeks on the disabled list, he was released. To speak further about his career, in 2016 Esteban revealed that he would return to baseball in the Semi-Professional League Clemente Grijalva, in State of Sinaloa in Mexico, which will no doubt contribute to his net worth. Regarding his personal life, Esteban married to popular American singer and actress Jenni Rivera in 2010, with whom he appeared in her own reality show. However, she filed for divorce in 2012, but was killed in a plane crash before the divorce was finalized.